Utility Enchantments: Dragon’s Hoard x2 + QuartmasterX2 + 1 Fey Blessing or Dark Enchantments. Generally, pick the armor kits for the stats you are lacking in. Action Point Gain or Stamina Regeneration depending on what you need. This is the case for most classes and builds. When choosing a Legendary Mount for the Mount Powers, look for a mount that has both a useful equip and combat power. The best choices for a first legendary mount as a Guardian Fighter are Swift Golden Lion or Swarm. When choosing a mount power it is also smart to choose the stats you are lacking in from other gear. If you have any questions or suggestions about our Guardian Fighter guide please leave a comment below! 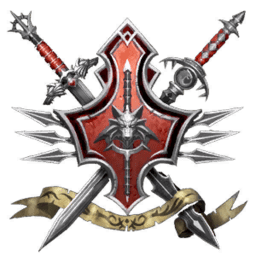 More info about the GF class can be found at The Neverwinter Reddit. More builds and further info can also be found at MMOMinds. My biggest criticism is that this “guide” is actually a list, and the author doesn’t even bother to put any thought or actual research into its suggestions. For example, the guide suggests to use Loyal Gear or IG gear… but WHICH companion gear? Should I use the Obedient Gear, whose HP doesn’t even pass through Bonding stones? (hint, they don’t). What if some newbie on Xbox or PS4 looks for “Loyal gear”… only to learn that Loyal (x) gear is a PC exclusive legacy item? There is nothing which explains why you should pick a certain item over another and is also a huge weakness of the guide as a whole: the guide has conflicting priorities and makes little sense. It seems as if the author wanted to suggest a jack of all trades, but the build is actually better described as a master of none, being incompetent in all of its fields. The build opens up with saying the GF is a tank class, which leads me to believe that you’re going to suggest a tank build. So it opens up with “prioritize CON, DEX, then STR”, which, even if it’s a bad roll, makes sense from a tank build perspective. Then, the very next suggestion is to stack Crit and Power after getting as much ArmPen needed. This sounds like the makings of a DPS build rather than a tank build. Later, the author does a 180 and suggests a PROTECTOR build, which, being awful aside, is a pure defensive spec. The biggest farce is that the author suggests all the correct DPS powers (KC, Anvil, Griffons, ET)… but doesn’t mention Into the Fray. Into the Fray is THE GF ability, useful on ALL GF setups; how the author missed this is beyond me. Additionally, for suggesting a tank build, the build neglected to mention the GF’s best team protection tool: Knight’s Valor. Another example are the mounts. The author suggests some defensive mounts (Polar Bear, Lion), while also suggesting a bunch of offensive mounts (Rage Drake, Howler, Tenser’s). Which ones do I pick? Which ones are better than another? The author suggests many defensive insignia bonuses (Survivor’s Blessing, Champion’s Return, Shepherd’s Devotion), but then turns around and suggests many offensive artifacts (Shard of Orcus’ Wand, Thayan Book, Lantern). Even more confusingly is that the author slips in some actual defensive artifacts. Which build do you want me to pursue? In conclusion, if this is a MMO website’s dabble into Neverwinter, then the author needs to step up their game. This guide is, at best, nonsensical and misleading, and at worst, poorly researched. If some poor newbie stumbles upon this via Google, or follows the author’s self promotion on the official forums, then this “guide” will lead to many poor decisions from GFs. 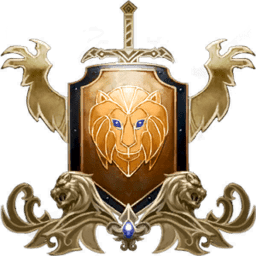 While GF is not an easy class to figure out, there is an apparent lack of understanding of Neverwinter from the author, and a lack of explanation skills in general. Seeing as the other class guides are written by the same author, I shudder to think about the quality of the other class guides on this website. Hi, and thank you for your feedback! The guides were not originally meant to be builds, but suggestions, and it worked pretty well when it was written many modules ago. We are however aware that the the format of the guides is outdated as of the current state of the game. The other guides are not written by the same author, but are in the same format and posted on the same user as it’s the only user on the site. Some are written by our writers and some are outsourced. We will begin to update the guides at once with your suggestions in mind, thank you! Oh sorry.Forgot to mention,for Tank section. mod 15 is now out, a few things to ask. a) Survivor’s wraps- Why are you suggesting these to tank without SWW? c) Tactician tanks are the future i’ll let you check out this tank build on another loadout. :- Either Shield of Resurgence or Distracting 2/3- Shield gives 3% hp when controlled whilst distracting gives enemies a 3% debuff for damage when you successfully block an attack. :- Weapon Mastery 3/3 and Ubiquitous Shield 2/3 or vice versa. Paragon Feats- Tactician, the master of all. Crushing Pin 5/5- This power is insane. Control powers cause enemies to take 10% bonus damage for 3 seconds. If you have the barbed gloves of lycosa (Ravenloft hunt T1) you can proc this without needing to slot a stun in. Fight On 5/5- Encounter powers cooldown to maximise the usage of Into The Fray and Commander’s Strike. Daunting Challenge 5/5- Marked targets do 10% less damage to allies, keep your buddies alive! United 5/5- Allies within 30′ take 5% less damage, more aid to allies. Surging Tide 5/5- Tide of Iron is useful as a DR from an enemy as well as increasing the damage the enemy takes from you. Martial Mastery- This capstone can help you proc Fighter’s Recovery like mad. You also gain a bonus to this based on your damage resistance as a bonus. You should then have 5 points left to spend, either use them in Improved vigor (conqueror) for a massive boost to AP gain or Armour of Bahamut (Protector) which will make you take 10% less damage when below 30% stamina. Commander’s Strike- Encounter powers in a party proc a 10% damage bonus on marked targets which if you play it correctly should be everything within the range of ET. Class Features- Enhanced Mark is love. Enhanced Mark is life. For the other, I personally use Steel Grace for run speed, critical strike and deflect chance. Though feel free to slot Combat Superiority, Steel Blitz or Shield Warrior’s Wrath if you do use the Survivor Wraps as we don’t use Reckless Attacker. Boons are pretty much up to whatever you need. HP and defence are always great. No wonder the tank’s are getting one shotted in Castle Ravenloft. You’re having them use DPS gear. News Flash: a tank functions on the exact opposite stats as a DPS. For Bonafide Tanking, focus primarily on increasing Max HP, Defense, and Deflection. To that end, run Gigantic Enchantments in your Defense Slots. For enhanced Damage output, use a Briartwine Armor Enchantment. You’re a tank, you’re supposed to take damage.